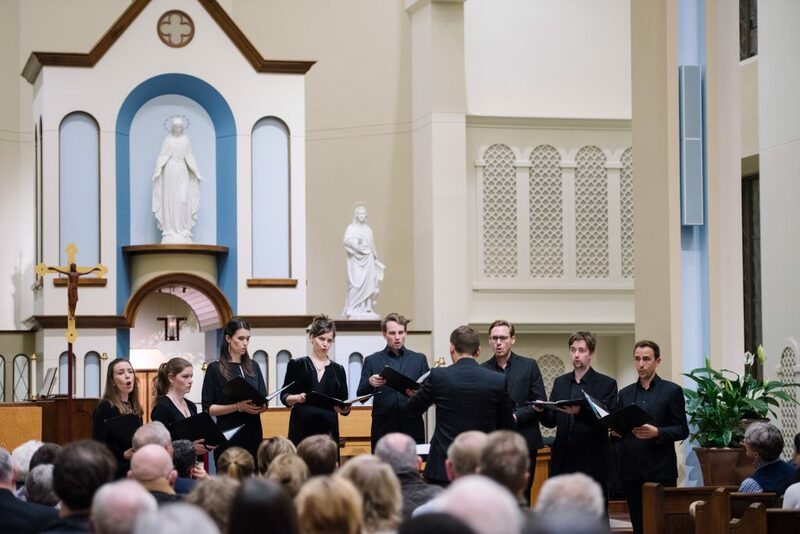 The Marian Consort share with us below their personal experience of touring the US and Canada this October where they performed a set of Marian repertoire by UK composers, which included Stephen Dodgson’s beautiful Dormi Jesu. 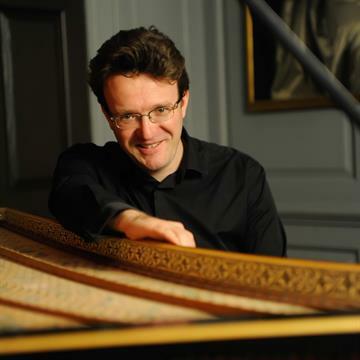 You can hear and read Rory’s Gramophone Magazine interview about this Marian repertoire (including Dormi Jesu), which the group recorded last year, in an earlier blog. 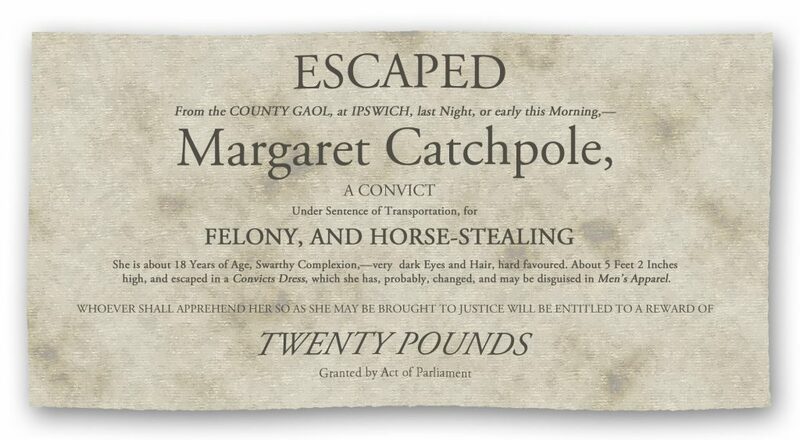 You can read their complete tour blog below or download a PDF version. After nearly two years of planning, on Friday 12 October nine members of The Marian Consort set off from Heathrow airport for the ensemble’s first ever tour of the USA. The tour had come about as a result of an invitation issued by the University of Dayton, Ohio, whose Marian Library was celebrating its 75th anniversary in 2018. 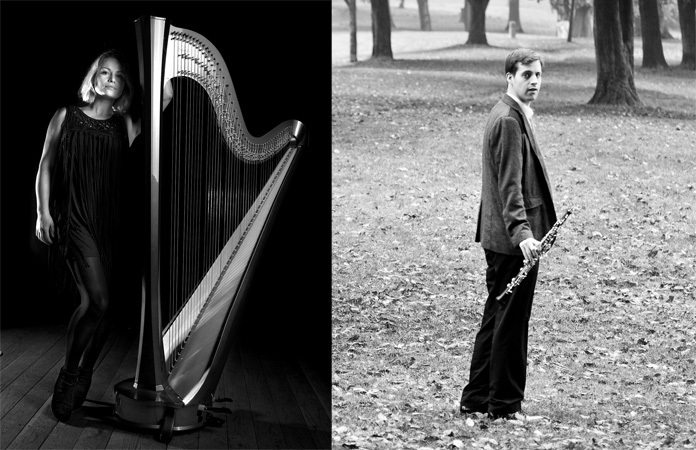 In addition to workshops, masterclasses and a performance in Dayton, our tour schedule included concerts in Jackson Mississippi, Atlanta Georgia, Cleveland Ohio, and a short trip across the border into Canada for a concert in Oakville Ontario. Our first stop (after nearly fourteen hours of travelling, and a very brief layover in Dallas Airport!) 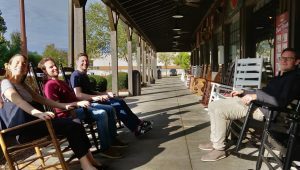 was Jackson, where we were met at the airport by representatives of the Mississippi Academy of Ancient Music, our hosts and the organisers of our concert the following evening. 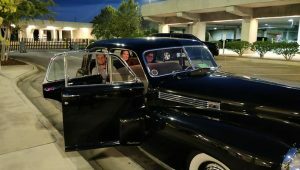 We were delighted to be driven to our hotel in two classic cars – the theme of luxurious transport was to continue the following day, when a limousine arrived to ferry us to our concert venue! After a good rehearsal, which helped to shake off the cobwebs of the previous day’s travel, we headed out (again by limo!) for a healthy meal before our performance. 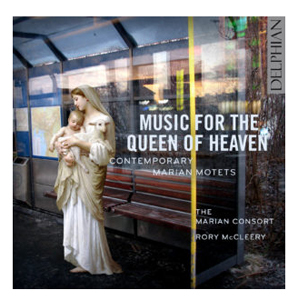 Our programme for the tour was one based around our ‘Music for the Queen of Heaven’ CD, released in 2017 – the focus on specifically Marian repertoire by UK composers seemed entirely appropriate for our visit to Dayton, and allowed us to showcase a number of pieces which received their US and Canadian debuts in our concerts, among them the exquisite Dormi Jesu by Stephen Dodgson. These twentieth-century and contemporary works were juxtaposed with a selection of English Renaissance music by composers including Byrd, Tallis, Ludford, Parsons and Sheppard, providing both contrast and continuity for listeners. After Mississippi, our next concert was at the beautiful All Saints’ Episcopal Church in downtown Atlanta – we were wonderfully looked after over the two days that we were in Georgia, with the famous spirit of Southern hospitality very much alive and in evidence! 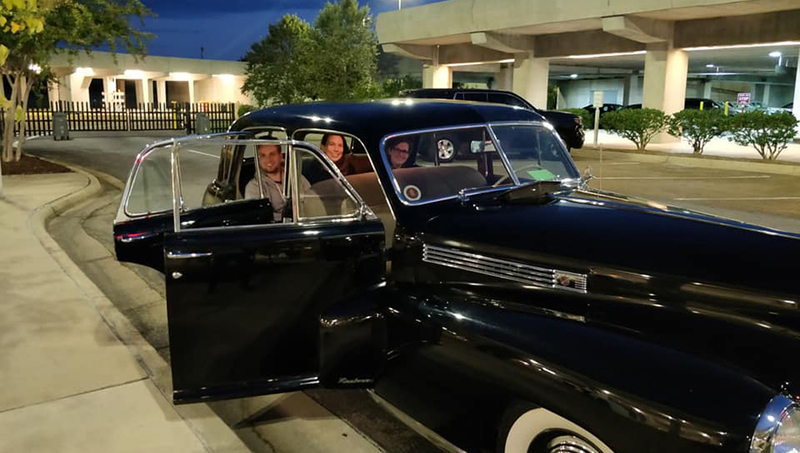 This included dinner at a traditional, old fashioned Southern restaurant, where we were able to try a number of culinary specialities, and a visit to the Atlanta Aquarium, where a highlight was the choreographed performance by the resident team of acrobatic dolphins and dolphin trainers! Following another internal flight (one of many on the trip!) we arrived in Dayton, the birthplace of aviation in the US! We were met at the airport by Eileen, the coordinator of the University’s performance series, and driven to our hotel on campus for a much-appreciated evening off, which gave the ensemble the opportunity to explore a little of downtown Dayton (including its excellent pizza!) and Rory time to finish off the lecture he was to present to the undergraduate music and religious history students the following morning. The next day saw us up bright and early for the lecture, which included live performance excerpts from some of our Renaissance repertoire, taking the students on a whistle-stop tour through the music of the English Renaissance and tying the various changes in compositional style into the history of the Tudor Monarchs from Henry VIII to Elizabeth I. We then headed over to the University’s Marian Library, a fascinating collection of books, sheet music, works of art, and other assorted artefacts and objects (including an enormous number of nativity scenes from all across the world) related to the Virgin Mary, where Sarah Cahalan, the library’s director, and Samuel Dorf, lecturer and director of the University Early Music Ensemble, introduced invited guests to some of the musical items in the library’s collection. In the afternoon, we had an excellent workshop with the Dayton University Chorale, with Rory offering them some coaching on their Renaissance and contemporary repertoire before we sang two contrasting works from our concert programme. It was wonderful to see and hear such an energetic, committed group of young singers, and they had some fantastically insightful and interesting questions for us in the Q&A with which we finished our session. The concert we gave in Dayton was also very rewarding, as our venue, the college chapel, was filled to the brim with an enthusiastic audience of students, staff and local residents. 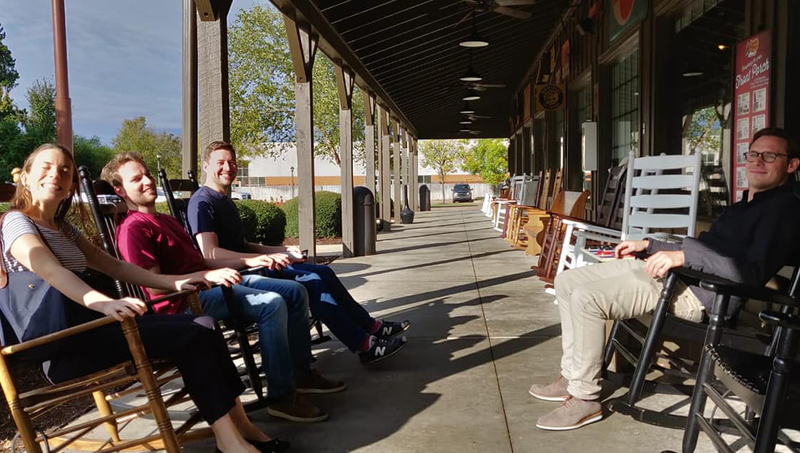 Our next concert in Cleveland was easier to reach by road than by plane, so we hired a people carrier for the three-hour drive, stopping off for lunch en-route: our chosen eatery turned out to be an authentic American diner inside an old train carriage! 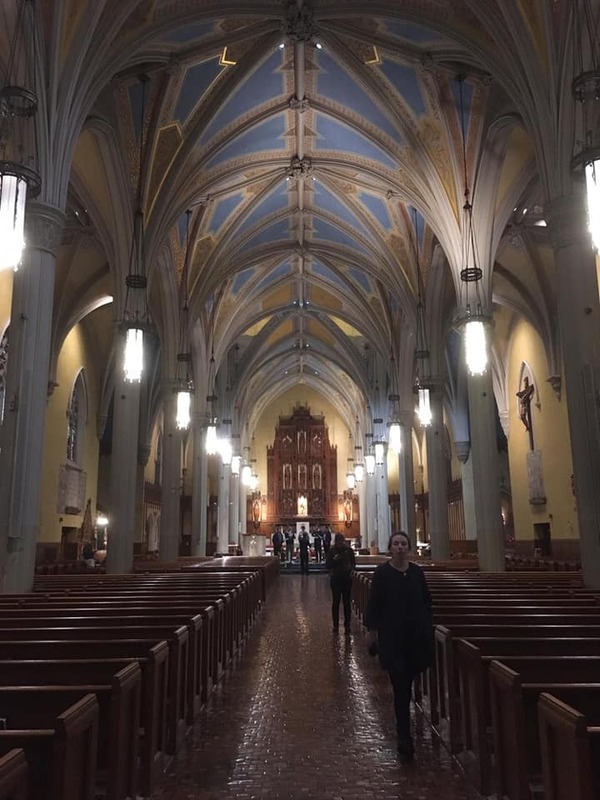 On arriving in Cleveland we were delighted to discover that our venue for that evening, The Cathedral of St John the Evangelist, was not only a beautiful building but also had an incredible (and very resonant!) acoustic. This allowed us to fully exploit the spatial possibilities offered by some of our repertoire, a fact commented on (favourably, we’re pleased to say!) in the review for ClevelandClassical.com. As with all of our performances on the tour, the audience was warm and welcoming, and it was lovely to chat to them after the concert, including a couple of familiar faces from early music singing workshops in the UK! Our final concert of the tour involved two flights and a border crossing as we ventured out of the US and into Canada: Oakville was, as we had expected, much colder than Mississippi, Atlanta or even Dayton, but more than made up for this with its handsome setting and scenic views across Lake Ontario to Toronto. Our venue was St Jude’s, a charming Victorian church built in 1883 which, with its stained glass portrait of Queen Victoria, was somehow more British than Britain! Here too, we were made to feel very welcome, and we were delighted to retire after the concert to the local Queen’s Head Pub for a well-deserved drink with our hosts. The following day saw us heading into Toronto for a spot of brunch and a little retail therapy before making our way to Pearson International Airport to start the long journey home. After ten days, seven flights, five concerts, two countries and one limousine, our first-ever North American tour had come to an end: we had a fantastic time performing brilliant music for some really lovely audiences across the US and Canada, and getting to know some wonderful people, and we hope to be back before too long!